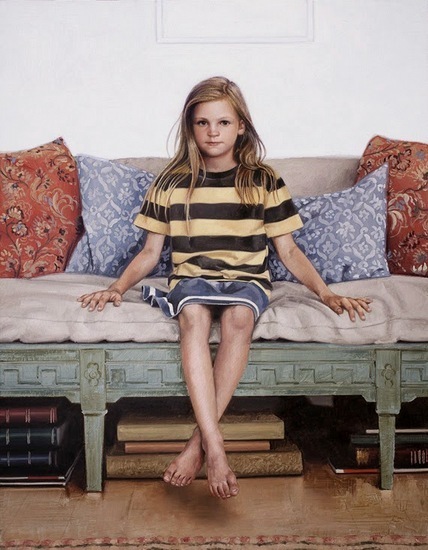 John Nava, one of America's pre-eminent realist artists, is the subject of a small show of twelve portraits -- paintings, monotypes and Jacquard tapestries -- now on view at the Vita Art Center in Ventura. 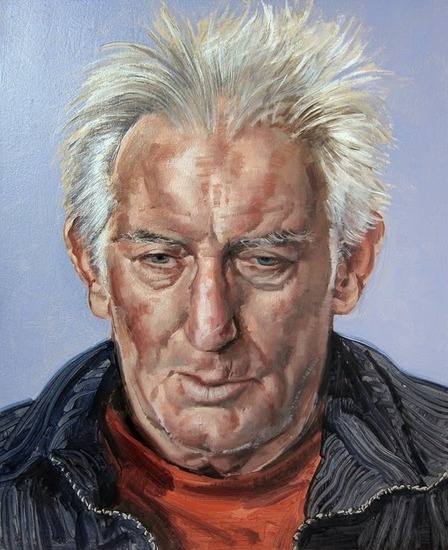 Sober, affectionate and keenly observed, his portraits display what Nava recognizes as a "consistency of attitude" that has persisted in his work for many years. I recently interviewed John Nava and asked him about the Vita exhibition, his politics, and his views on art and modernity. 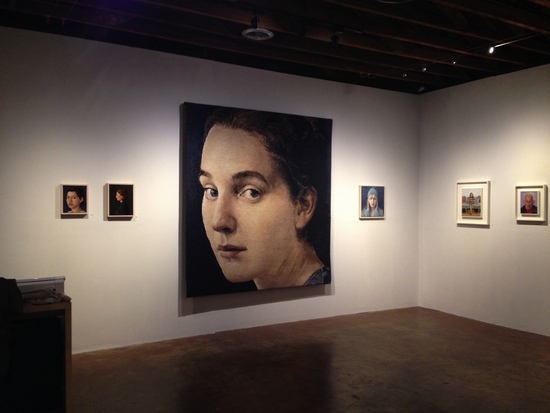 Tell me about the works on view in Ventura: are they all relatively recent? 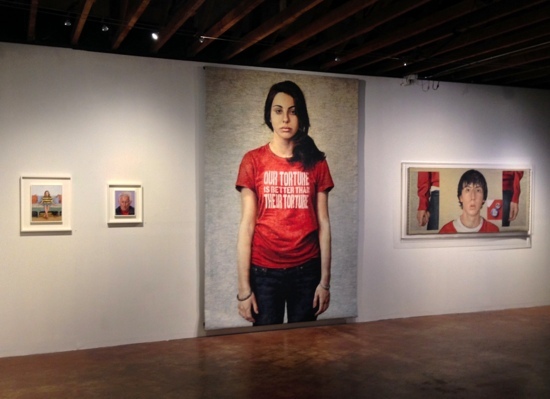 The show in Ventura is at the Vita Art Center which is small non-profit arts program. They work hard in a pretty tough neighborhood to serve the community with ambitious art experiences and presentations. 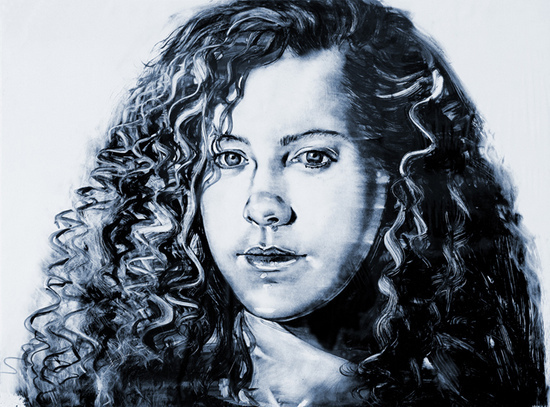 The work I put together for Vita is a selection of pieces in different media - all portraits - that range from some monotypes I did in 1992 to paintings I just did this year. In going through things to put in the show I realized that to a great degree everything I do, no matter what the project, ends up as a sort of portrait. This is true even if it's a 20 minute figure drawing. None of the works in this show were formal, commissioned portraits. Moreover, I don't think of myself as a portraitist per se. For me, rather, the business of a likeness is more the result of wanting a deep and specific engagement with the particular subject. That demands a level of serious and precise and honest observation that ends up yielding a recognizable "portrait." If it's generalized or kind of glibly stylized it lacks compression for me and even respect for the model. Almost everyone in this show are family and friends. Another big part of my motivation to paint them with care comes out of my affection for them. Tell me about the tapestries in the show. Mostly I do tapestries for commissioned projects. 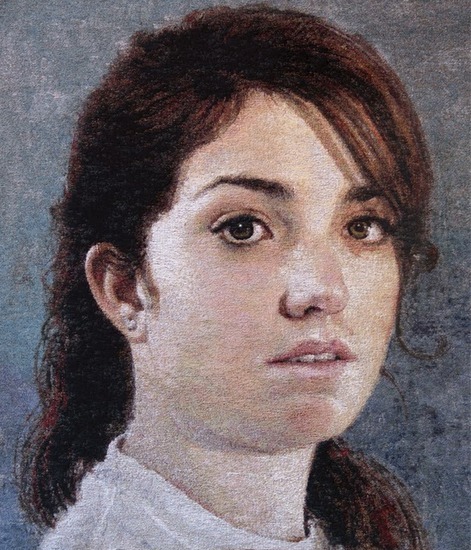 However, this show includes some woven portraits done with different approaches. One (R.E. II) uses a sort of mosaic-like weave structure to render the face with a very strong surface "terrain." Another, (Chloe) is a purposely made fragment with unfinished edges that is mounted and framed rather than conventionally hung. 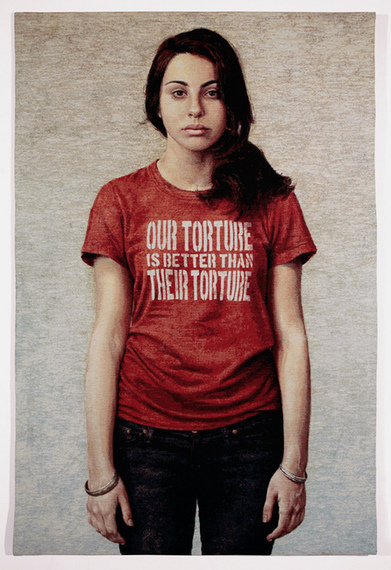 Another -- Our Torture is Better Than Their Torture -- was part of a series I did starting in 2005 as a protest to Bush era interrogation and detention policies of the time. On Monday, April 28th, 2014 (last Monday!) Sarah Palin said to roaring approval in a speech "Waterboarding is the way we baptize terrorists." That disgusting, imbecilic and disgraceful "cute" remark made my seven year old piece seem relevant - unfortunately. Many people seem to still feel that there is something inherently "conservative" about representational painting, but in your case your themed works make it clear that your personal politics are left-leaning and eclectic. Do people continue to be surprised about your politics? I haven't received a great deal of negativity about the political work. More often people are quite supportive. Maybe it's the art world or maybe it's California. 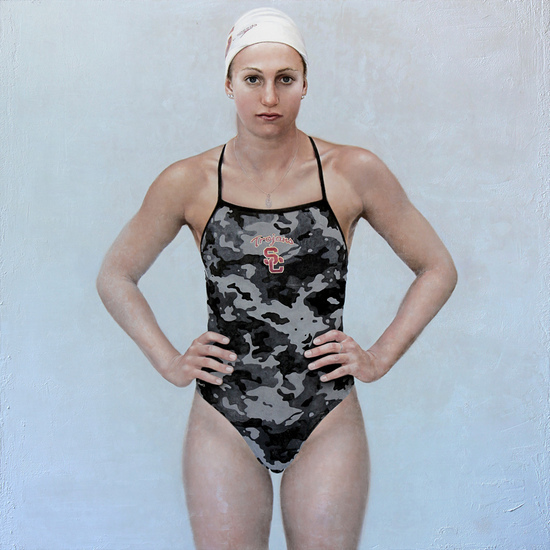 Ironically I kind of consider myself as a critic of "conservative" representational painting. I'm thinking of what seems to be a vast amount of work being done that idealizes what I consider second rate 19th century art. It seems to lead to unquestioned conventionality and a general lack of imagination. The obsession with certain kinds of technical mastery seems to eclipse everything. Bouguereau and Gerome and Alma Tadema are all quite fascinating in many ways but nothing in their work approaches Goya. It is just over half a mile from the "Cathedral of Our Lady of the Angels" in Los Angeles -- where your 25 tapestries are on view to MOCA where the Mike Kelly show is on view: it would be quite an aesthetic experience to see your works and Mike Kelly's in one day. Have you seen the Kelly show? I have not seen the show but I have seen Kelly's work going back many years. The work in the cathedral would contrast most significantly to your hypothetical MOCA visitor in that it lacks irony. The intentions and meaning of art within the "sacred" space are utterly sincere. Every bit of the work has unquestioned meaning and unquestioned importance to the faithful. 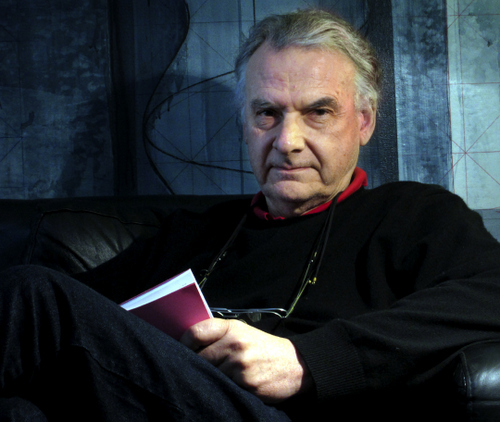 From the sacred point of view, the modern, "profane" world suffers the crises of unreality. The anxiety of the modern artist resides in the attempt to somehow, out of a blank canvas, invent meaning, invent something true, to speak something of import. At every step of this process we are plagued with doubt and uncertainty. This is the world I was familiar with when I first began to work at the cathedral and this drastic reversal of the dilemma of modernity was what struck me the most. I'm working on a number of commissions all of which are in process at the moment. I just completed a great project at Princeton University for the Firestone Library. Is there anything else you would like to say about this show? It's a small show but because it covers work of different sorts from different periods it was kind of a revelation to me. I can see a certain consistency of attitude that surprised me and also a persistence in trying to find different surfaces. Have you seen any art or shows recently that you liked? I liked the last show by my old friend Mark Stock who suddenly died very recently. It was at Lora Schlesinger Gallery. I also recently spent some time with David Jon Kassan in New York. He is doing wonderful work.